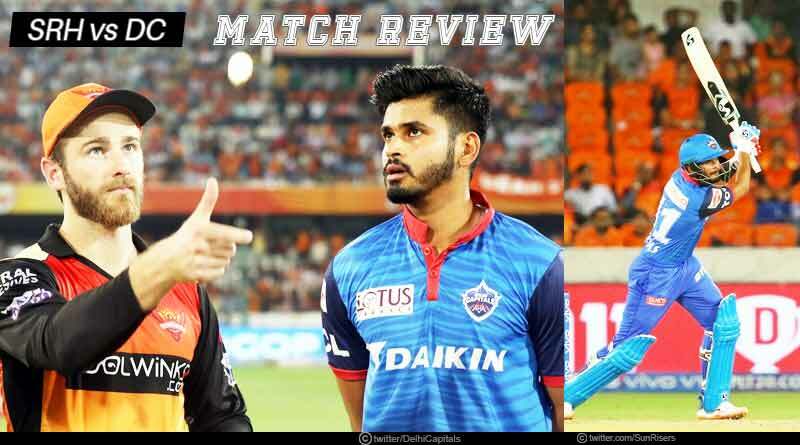 The last time Delhi Capitals played at home this season, they had to suffer a one-sided defeat to SRH who defeated them with ease by 5 wickets on that day. With those scars still fresh, the Capitals put in a scintillating bowling show, one that blew apart the Sunrisers Hyderabad’s run chase. With 3 wickets for Morris in the 18th and 2 for Rabada in the 19th, Delhi sealed their berth in the top 4 for the first time this season. The 39-run win was not just a compelling win for them but the manner it came about was brilliant. With the scoreboard reading 72-0 as Bairstow and Warner kept taking the runs of the lowly target with ease, the match looked to be slipping away from Delhi. However, in a T20 game, the match can turn on its head in a matter of seconds and as Delhi got their first breakthrough in the form of Bairstow who departed at the 10 over stage for 41, everything from there onwards worked out fortuitously for the visitors. With the set Warner departing soon after the Williamson was picked up for just 3, SRH’s shaky and uninspiring middle-order was exposed. Having been their biggest downfall this season, it capitalized calamitously yet again with Delhi’s pace battery putting on a stupendous performance, one completely befitting of winning the match. From 101 in 15 overs, SRH in a woeful and diabolic showing slumped to 118 all out. It was an outstanding bowling performance by Morris and Rabada who kept sending the ball in just the areas needed, giving nothing away to the batsmen and with regular Yorkers, the lower middle-order and tail was an extremely easy one to send back to the pavilion. While Delhi were left erupting with joy after an unprecedented turnaround, the defeat for last season’s finalists now places them in the bottom half of the table. Earlier in the day, giving Munro the first start of the season proved to be the right decision by the visiting side. His 24 ball 40 run innings ensured Delhi were able to cross the 150-run mark in a batting display which showed why he’s the best batsman currently present in the unit. Iyer was able to build a 45-run inning around him, two knocks which ensured Delhi were able to put on a competitive enough total while the rest of the batsmen fell around them at regular intervals. For more articles like ‘SRH vs DC match review’, do follow us on Facebook, Twitter, and Instagram.